Long before becoming a vocational rehabilitation counselor and employment expert, Mike Mooney worked different jobs, such as: construction labor, painting, landscaping, food service, musician, janitor, free-lance writer, etc. These experiences gave him critical insights into the real world of work. After college, as a hospital mental health worker, he came across many unemployed patients. He sought to help people in a more concrete way via job counseling. He went back to school for a Master’s counseling degree and received specialized training in settings which included: a university career planning and placement center, technical career support in a Concentrated Employment Training Act (CETA) program and the United States Job Corp.
Mike is a Diplomate with the American Board of Vocational Experts and provides a wide range of evaluation, support and planning services. 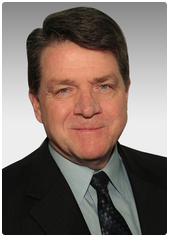 He is a past President of the International Association of Rehabilitation Professionals - Illinois Chapter. He has headed the Lifetime Achievement Award committee for the last three years to recognize excellence in the field of rehabilitation.